Associate Director Kevin Bates, who heads up the office of Scott Tallon Walker Architects in Riyadh, Saudi Arabia, has been awarded the highest Architectural Award from Royal Institute of the Architects of Ireland. 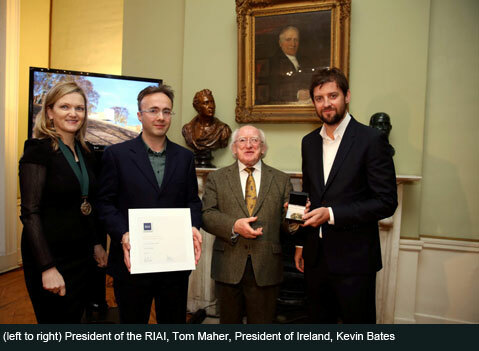 The RIAI Gold Medal, which is awarded every three years, was presented to Kevin by the President of Ireland, Michael D. Higgins, in November 2013. 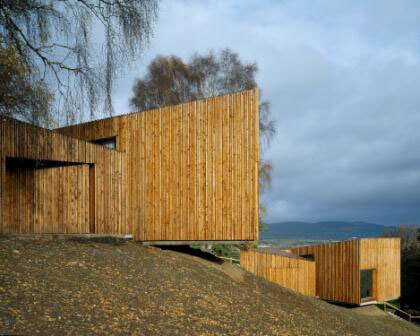 The winning project is a set of Religious Hermitages (Postinia) located on a hillside in the Comeragh Mountains, Tipperary, in Ireland, which was completed in 2004 and designed with his former partner, Tom Maher. The RIAI Citation included “Close to mature broad leaf trees, Poustinia is impeccably detailed and built. Every element is exquisitely considered. 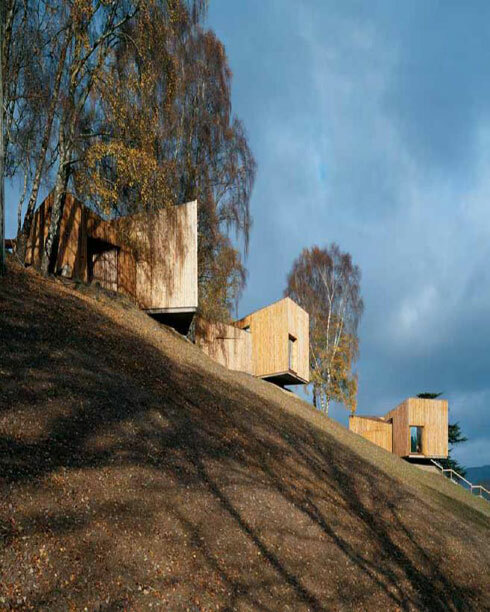 The rooms cantilevered off the hillside make the lightest of footprints. The cranked plan configuration with bespoke furniture and floors of local limestone entrap smooth plastered internal space to overlook a wider strikingly contrasting landscape. 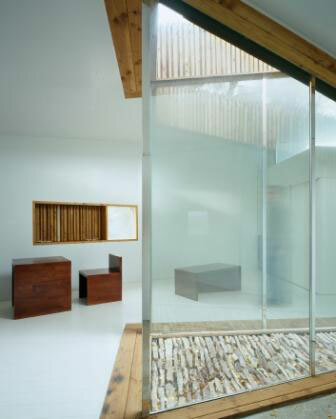 External walls and roofs fuse in a composition of alternating rough sawn douglas fir and smooth sawn larch strips. The contrasts of this wonderfully enigmatic project are resolved in ways which evoke its very spirit. Contradictions are synthesised in a clear and simple idea, suggesting a conjunction of the temporal and the transcendent”. This entry was posted in Uncategorized on December 1, 2013 by stwarchitects.